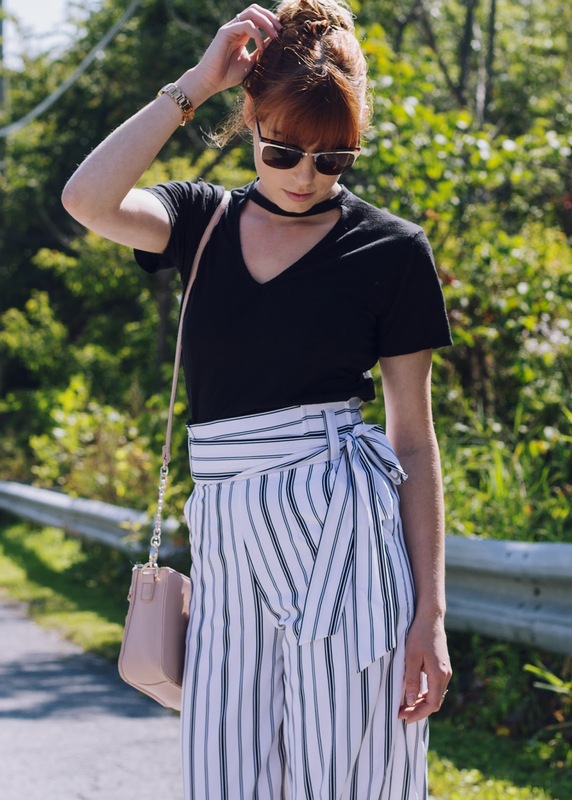 These wide-leg striped pants are pretty much everywhere right now, and I absolutely love them! I like how easy they are to wear together, but also how versatile they can be either dressed-up or dressed down. I got this two piece from e-Shakti, and made some adjustments (as you can do with all their clothes! so cool). For example, I knew I wasn't ever going to wear this with heels because, lets face it, I never wear them. So I adjusted my height to a couple inches shorter than I actually am. I also changed the neckline to sweetheart, just to open up the neck a little bit. 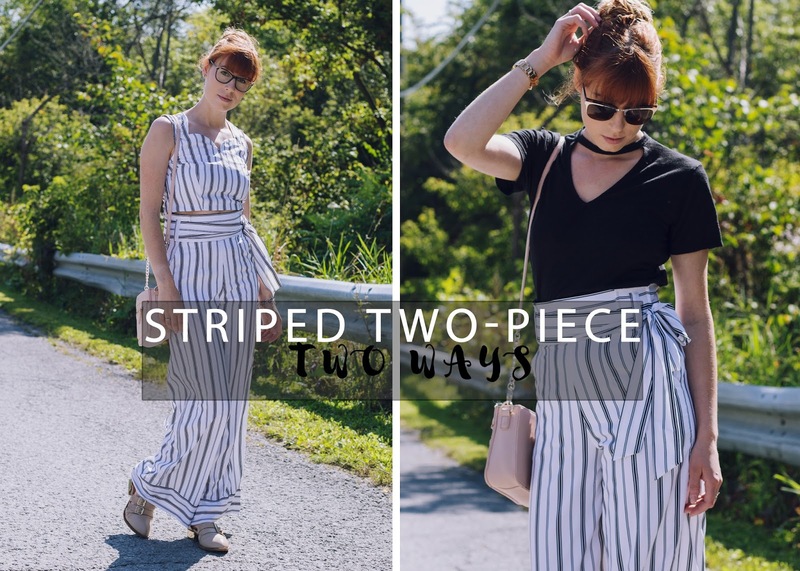 Here's how I styled this outfit together! And here is how I styled it as separates. Can't wait to pair the pants with a cozy sweater in the fall, too! Overall everything is so nicely made, and the ability to customize it to be exactly how you like it just makes it that much more perfect.